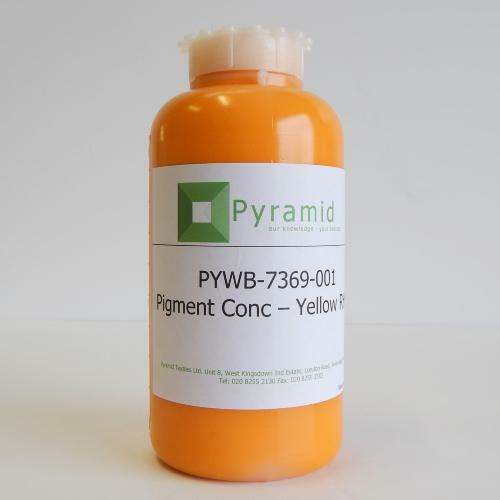 Pyramid water based "Base & Pigment concentrate system" inks offer the ultimate in flexibility and cost effectiveness. This system gives you the advantage of not only being lower in cost, but also a lower stock holding on your shelf, as only 1 tub of base is required along with the necessary pigments to produce a multitude of colours that you require. As with our "ready mixed" water based inks, Our Pyramid Base & Pigment concentrate still offers the ultimate in flexibility when it comes to screen printing onto various substrates such as T-Shirts, T-Towels, Baby Clothing, and canvases giving the ultimate in soft feel. This truly aqueous range of Water based inks are environmentally friendly inks with no chemicals or volatile solvents making them a number one choice for schools and colleges. Unlike most other pigment systems on the market that require an 8-10% pigment ratio, our system only requires a 4-5% ratio, thus making the cost very competitive. Use with either our Pigment Base or Discharge Base. To obtain maximum fastness and depth of colour please mix 95 parts base and 5 parts of Pigment, mix thoroughly and print. When it comes to fully drying these inks, they can of course, be air dried, but like all water based inks, it is a combination of time and temperature that gives best results. We recommend 120 seconds at 170 degrees C.
For best stencil results, we recommended the use of Pyramid Textile Dual Cure Emulsion coated on screen mesh counts of 34 - 43T with a 2 + 2 emulsion coating. Available in 250G and 1KG container size.